Where do you go from Dangerous? The promise of lethal force, of course. A mystery company has registered a computer games trademark for something called Elite: Deadly. We don’t know whether it’s expansion, sequel or something else, but we do have reason to believe that Frontier are behind it. The trademark, spotted by Neogaffers and visible on an EU registration site, covers computer and console games as well as “on-line gaming services”. The listing doesn’t reveal who the trademark is registered for. But it does name a representative, one Maguire Boss. If Maguire Boss were sorting the trademark on behalf of Frontier Developments, it wouldn’t be the first time. In the last year, they’ve registered two names related to the more colourful side of the British studio’s business: Water Park Tycoon and Safari Park Tycoon. It feels a little premature to be already thinking of an Elite sequel, given that our Steve found the Elite: Dangerous universe to be pretty sparse at 1.0. 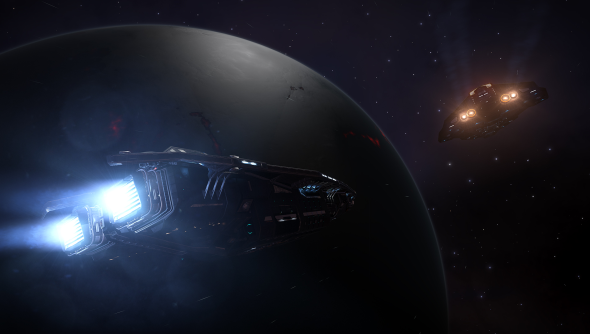 Perhaps, after Elite: Dangerous 1.1, more could be done to bulk it up first, and give those stunning, shuddering spaceship interiors a denser backdrop. Perhaps Deadly is the name of a new app. More disappointing things have happened in the recent history of PC gaming, have they not?